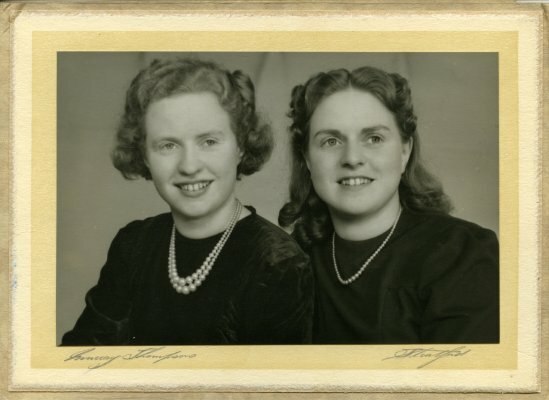 Description A collection of 5 black and white/sepia photographs of Audrey and Peggy Jones. Audrey Jones (later Melville) and Peggy Jones are the daughters of Perce Jones and Reen Jones (nee Atkinson). Reen is the daughter of Fred and Mary Atkinson (nee Shea). 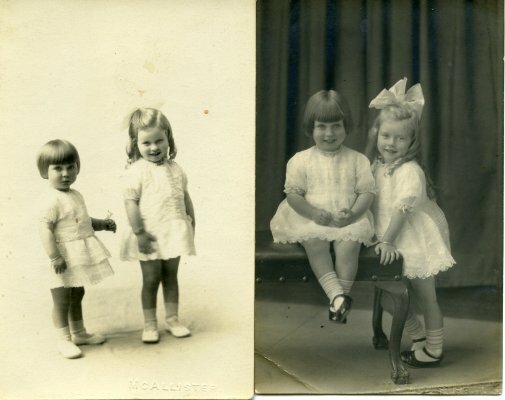 3 of the photographs are of Audrey and Peggy as toddlers/little girls. One of the photographs is of Audrey and Peggy in their teens. 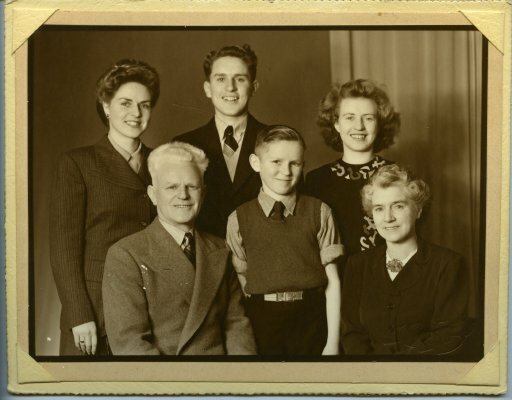 Includes one photograph of the Jones family: Peggy Jones; Perce jones; Rex Jones; Monty Jones; Audrey Jones (later Melville); Reen Jones (nee Atkinson).